NEW YORK (AP) — No one has been hurt or killed. But the wave of mail bombs targeting prominent Democrats this week has angered and dismayed some of the people affected personally by past acts of political violence in the United States. In the past 60 years alone, there have been scores of deadly incidents motivated by ideology. The perpetrators range from Ku Klux Klan racists to members of the far-left Weather Underground to anti-abortion extremists who killed abortion-providing doctors. On Friday, federal authorities took a Florida man identified as Cesar Sayoc, 56, into custody in connection with the package bombs. Court records show Sayoc has a history of arrests for theft, illegal possession of steroids and making a bomb threat. 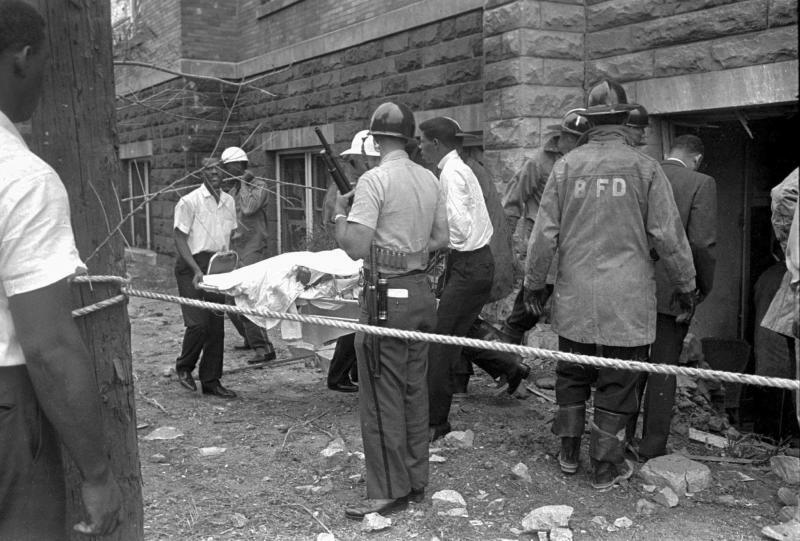 The mail-bomb scare reopened old wounds for Lisa McNair, whose life was shaped by a deadly blast that occurred a year before she was born: the Klan bombing that killed four black girls at 16th Street Baptist Church in Birmingham, Alabama, on Sept. 15, 1963. Her sister, Denise, just 11 years old, was the youngest victim. "It's like, 'Ugh, again.' When are we going to get this right?" McNair said. "It's been 55 years since Denise was killed. Why do we keep going there in America? Why do we keep going there as a world and human beings?" The United States, founded in a war that began as a political rebellion, likes to pride itself on a political system that discourages violence and emphasizes dialogue — no matter how loud and contentious. But in times of deep division throughout American history, angry words have occasionally turned to angry acts and left devastated citizens in their wakes. Some of those directly impacted by political violence say they struggle to remain optimistic in this contentious era. Others say their perspectives have evolved over time, and they believe they have insights to share. The Rev. Rob Schenck was a fiery leader in the anti-abortion movement 20 years ago when an extremist's bullet killed abortion provider Dr. Barnett Slepian as he heated soup in the kitchen of his home outside Buffalo, New York. The killing changed Schenck. He concluded that the language of his cause — "innocent, deliberately hyperbolic rhetoric meant to drive home a point"— produced deadly consequences. Schenck said he'd thought in recent weeks about sending a memo to President Donald Trump, to convey the lesson he'd learned firsthand and recommend a toning down of vitriolic oratory. "The president may honestly believe that no one who supports him is capable of acting with lethal violence, but the sad fact is he can never know that," Schenck said. Hearing about the pipe bombs "sickened" him. "My first thought was, 'Here we go again.' In the worst possible way," he said. 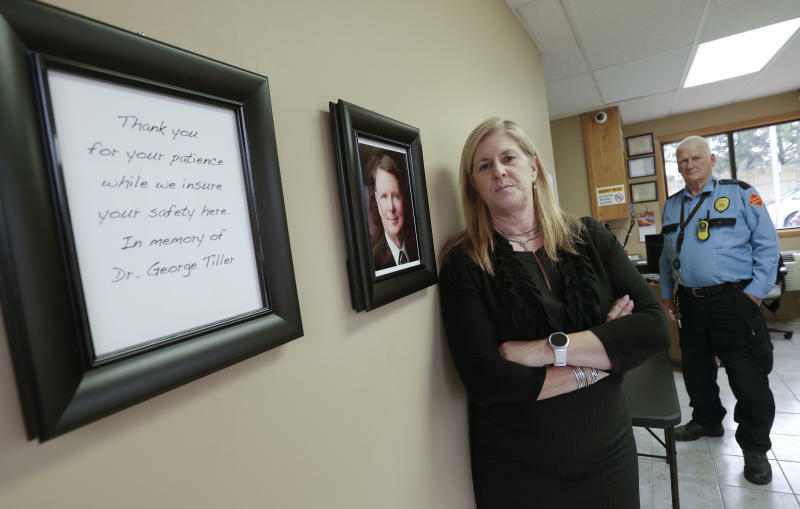 Another abortion provider, Dr. George Tiller, was shot dead by an abortion opponent in Wichita, Kansas, in 2009. One of Tiller's colleagues, Julie Burkhart, currently operates abortion clinics in Wichita, Oklahoma City and Seattle. She says the mail-bomb scare has prompted her to doublecheck security measures. "I'm scared to death for this country," Burkhart said in a telephone interview. "The gulf between Republicans and Democrats, pro-choice and anti-choice — it's a huge canyon now," she said. "There's all this pent-up anger and frustration, and we're going to be taking it out on each other even more." Similar concerns came from U.S. Rep. Steve Scalise, a Louisiana Republican wounded last year by a gunman who attacked a GOP baseball practice. He lamented "the disturbing frequency of politically motivated threats and violence." "Too many Americans are becoming isolated and obsessed by what divides us," Scalise wrote in an opinion piece for Fox News. "If we are to stem the tide of violence and violent rhetoric, then it is crucial we all do our part to break down the divisions in our country and reach out to those with different beliefs than our own." Optimism is elusive for Andrea Chamblee, the widow of sports writer John McNamara. He was one of five employees of The Capital newspaper in Annapolis, Maryland, who were killed in June by a gunman with a history of harassing the paper's journalists. 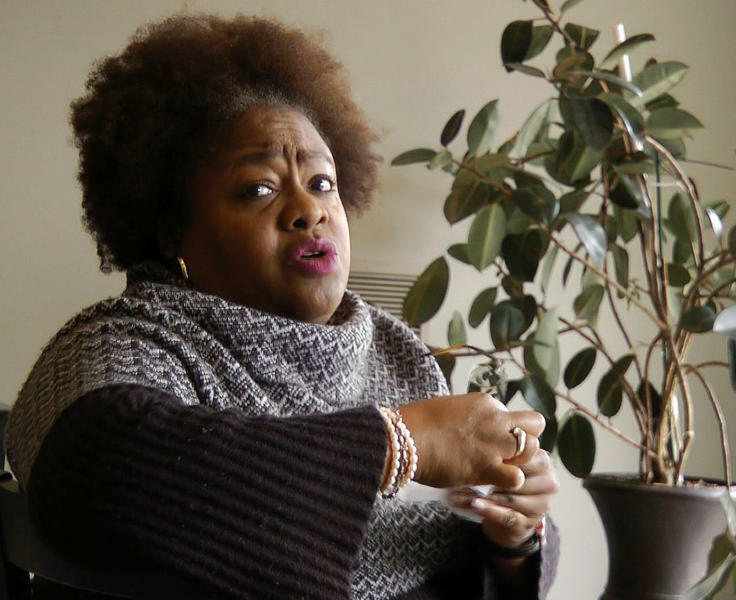 "We allow ourselves to be misrepresented by politicians who are too divided and blinded by hatred, greed and self-interest to work together," she said. "We're making it harder for people in the middle to be heard, not easier, and I don't see how it can get any better." The mail-bomb scare felt unnervingly familiar to Mohamed Omar. He is executive director of the Dar Al-Farooq Islamic Center, a mosque in the Minneapolis suburb of Bloomington that was attacked by a pipe bomb in August 2017. The center was bombed just before morning prayers when the attackers broke a window to the imam's office and threw a pipe bomb containing black powder inside, sparking a fire that caused extensive damage. Three men from Illinois were charged in the attack; according to charges, one of them said the purpose was to "scare" Muslims out of the United States. Omar said the new mail-bomb case and the attack on his mosque were both intended to "create fear and terrorize people." "It's very difficult for us to go through what we went through — and now it's more difficult. It's becoming the norm," he said. "Nobody died. But the hope died and the sense of security died." Cleve Jones's close encounter with political violence came in 1978. Working as a student intern, he returned from lunch to find the bloody body of his boss, San Francisco Supervisor Harvey Milk, on the floor, shot several times by former Supervisor Dan White in a double assassination that also killed Mayor George Moscone. Milk was a prominent gay-rights activist, and Jones saw him as a father figure. "I had never seen a dead person before," Jones, 64, said in a phone interview Thursday. "The sheer horror of seeing up close what bullets do to flesh and bone and brain... I think I was in shock for months." Jones says news of the pipe bombs— coming after the murder of journalist Jamal Khashoggi, the constant calls by Trump to discredit the media, and deadly clashes last year at a white nationalists' rally in Charlottesville, Virginia— serves as another reminder of the violence he experienced. "It's just very real to me, and it just makes me want to take people by the shoulders and shake them and scream at them, 'Don't you see where this is going?'" Jones said. Pam Simon also experienced traumatic violence firsthand . She's a survivor of the 2011 rampage outside an Arizona grocery store where a gunman killed six people and wounded then-U.S. Rep. Gabby Giffords and 12 others. Simon, a Giffords staffer who was shot in the wrist and chest, remembers the political atmosphere growing sour in the years preceding the shooting. She recalled Giffords getting booed at public meetings, and her office being vandalized after she voted for Barack Obama's health care overhaul. "I remember a sinking feeling in my stomach, thinking, 'What's happening in this country?'" Simon said. There was a brief call for more political civility immediately after the Arizona attack. "After that moment of self-reflection, it seems to have gotten worse," Simon said. While some incidents of political violence quickly fade from public awareness, others have been memorialized. In Oklahoma City, for example, there's an outdoor memorial and a museum commemorating the 1995 bombing of the Alfred P. Murrah Federal Building, which killed 168 people. In Birmingham, the 16th Street Baptist Church is a somber tourist attraction now, and just one of the convicted bombers remains alive in prison. But echoes of the crime still follow the McNair family. "That will be something we will always carry, and it will be in our family," said Lisa McNair "It will never leave us." Associated Press writers Brian Witte in Annapolis, Maryland; Amy Forliti in Minneapolis, Jay Reeves in Birmingham, Carolyn Thompson in Buffalo, New York, Janie Har in San Francisco and Jacques Billeaud in Phoenix contributed to this report.